When it comes to the safety of electronic medical records (EMRs), the stakes are high. From external data breaches to internal HIPAA violations, EMR security threats are everywhere, and they pose a big challenge for healthcare IT professionals. If you specialize in healthcare IT, your colleagues rely on your expertise to protect patient health information (PHI). Put ChartRequest in your digital toolbox to create a safe and efficient environment for medical records exchange. Don’t settle for anything less than HIPAA-compliant security for protected health information (PHI) data exchange. ChartRequest encrypts sensitive health information, facilitating information exchange in secure SOC 2, HITRUST, and ISO 27001 certified workflows that you can trust. 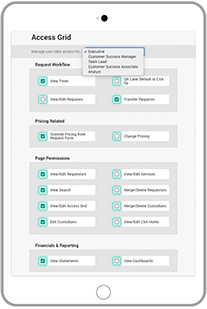 Our platform also has role-based access control—allowing you to easily assign permissions with the click of a mouse. Explore ChartRequest’s capabilities. EMR security is critical. But that doesn’t mean you need to spend countless hours integrating release of information software with your EMR platform. 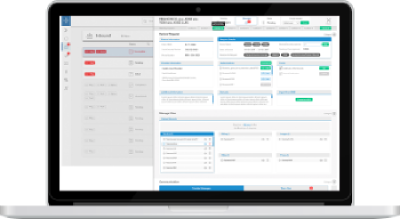 While ChartRequest is EMR agnostic and requires little IT resources for implementation, it also easily meshes with your EMR platform of choice—giving you safe, accurate, and swift release of information workflows. ChartRequest leverages security assertion markup language (also known as SAML) along with multifactor authentication. 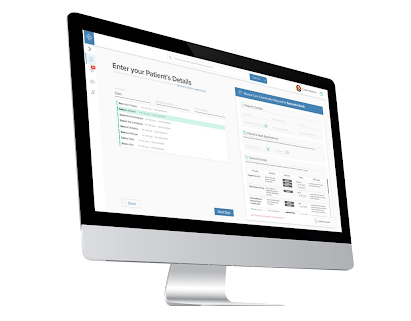 With SAML, you’ll help users avoid the frustration of multiple usernames and passwords—while protecting critical health information: a win-win for your end-users and organization. There’s always a chance your organization’s EMR processes will be audited for HIPAA compliance. 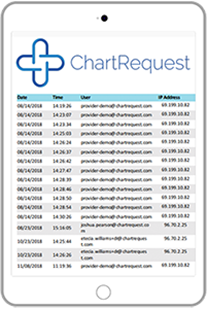 With ChartRequest, your staff will follow HIPAA-compliant workflows and gain a complete digital audit trail for each request—with details on everything from the time of an action to the IP address of the user. 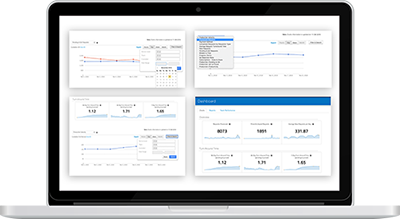 If needed, we can even provide latitude and longitude data of the requester, giving you the granular information you need to fulfill your compliance obligations.